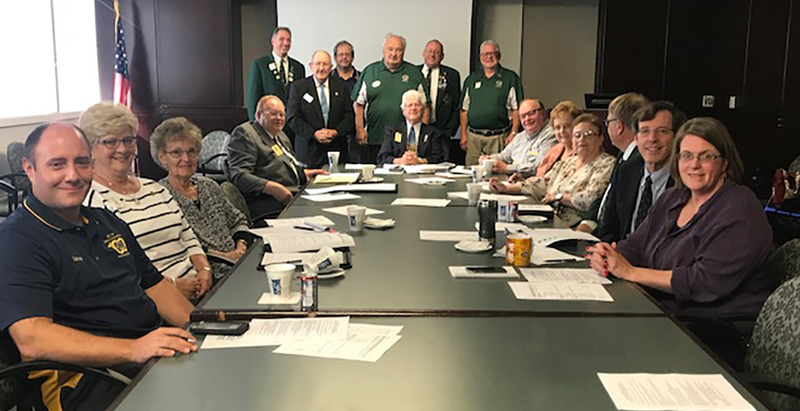 Western Pennsylvania Lions Hearing Foundation board members held their quarterly Board of Directors meeting on October 22. The current mission of the Foundation is to purchase auditory devices, especially hearing aids, for adults and children with significant hearing impairment who would benefit from this technology and demonstrate financial need. Originally founded in 1979 as the Western Pennsylvania Ear Bank and Research Institute by Pennsylvania Lions Club District Governors from six western Pennsylvania districts, the organization initially collected tissue for research and clinical uses. As technology progressed, the Ear Bank become obsolete and the Foundation was established in 1986. Working with physicians and audiologists at UPMC Eye and Ear Institute the Foundation helps those who are deaf or hard of hearing appreciate the sounds of the world that many people take for granted.